When Shrek’s swamp becomes overrun with fairytale charcters, he is less than happy. 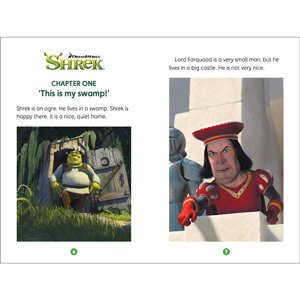 Desperate to get his home back to normal, Shrek agrees to rescue a princess of behalf of the unscrupulous Lord Farquaad. 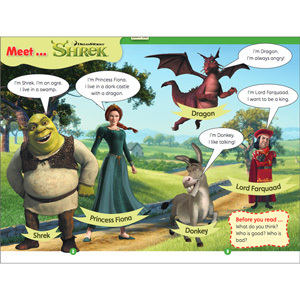 But once Shrek meets Princess Fiona, he starts to have doubts about his mission to find Lord Farquaad a wife. 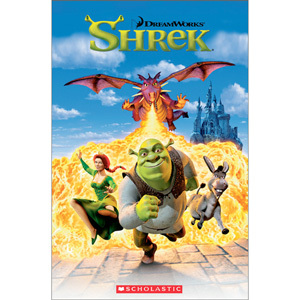 Shrek is a level 1 (Early Beginner) title from Scholastic’s Popcorn ELT Readers. This series of low-level, graded readers features titles based on popular films, TV series, and classic children’s literature. Aimed at pupils in the early stages of learning English as an Additional language, Popcorn ELT Readers are available at three levels: Early Beginner, Mid Beginner and High Beginner.